Montu Khokhar, CEO of NUCAP Industries, recently announced the launch of a new, proprietary line of brake pads to provide the mechanic and end-user communities across North America with a top-quality product to increase customer safety and satisfaction: Galvanized NRS Brake Pads, featuring mechanically-attached friction on a galvanized steel backing plate. Brake pads play an important role in a vehicle’s braking system. Braking occurs when friction material presses against the rotor of the wheel. This friction material is attached to a steel part known as a backing plate. Friction material and steel backing plates are attached in one of two ways, either through adhesives which can break down or through mechanical attachment. Twenty years ago, mechanics didn’t need to worry about rust, because all backing plates were galvanized or plated. Today, mechanics are not informed of the quality of brake pads, since much of the product is imported from overseas and subject to no federal or local standards. This leaves a serious risk for mechanics, their customers and all drivers on the road today. NUCAP has spent decades researching the nature of galvanization and is a pioneer in the science of molding friction material onto the galvanized plate. The result is Galvanized NRS Brake Pads, with OE specifications and design characteristics, at an aftermarket price. 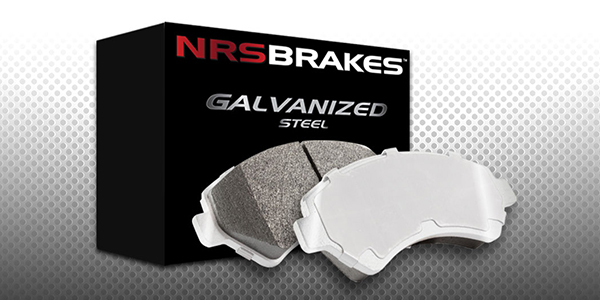 Galvanized NRS brake pads will prolong the life of brake pads and improve safety, according to NUCAP. Mechanical Retention has been specified by OE manufacturers on many medium- and heavy-duty applications. Aftermarket products rarely adhere to this OE specification, leading to a greater risk of friction delamination and a safety concern, according to NUCAP. 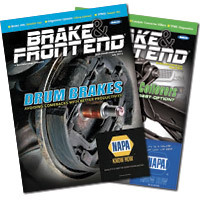 The Friction Materials Standards Institute, or FMSI, has now indicated the references that require Mechanical Retention, representing a shift in the automotive community toward greater brake safety and awareness. Mechanics and end users can reduce brake pad headaches and increase customer safety and satisfaction by selecting only galvanized product, according to NUCAP, which the company now offers online. For more information, visit nrsbrakes.com.